Niger is a landlocked and food-deficit Sahel country. Just over half the population is under age 15. Gender disparities persist and continue to strongly challenge the country’s development. A demographic growth of 3.9 percent, one of the highest in the world, adds to this already fragile context. 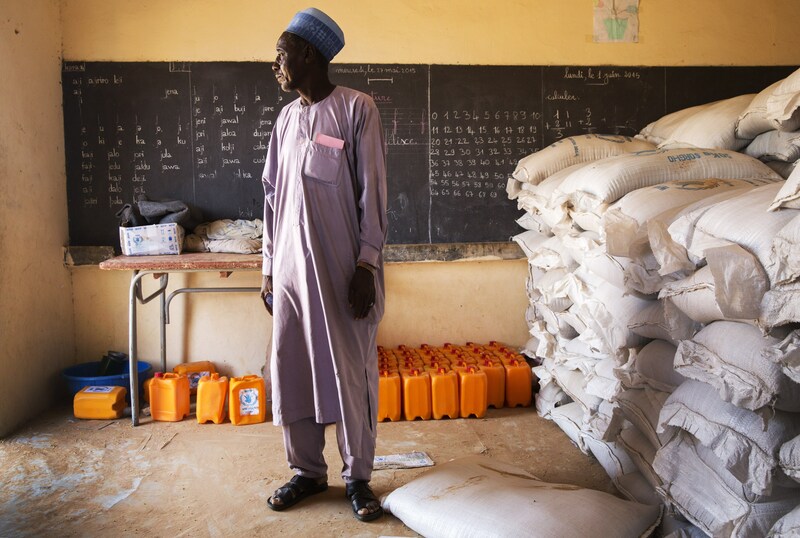 Food and nutrition insecurity in Niger are significant. This situation stems from poverty, environmental degradation, and cyclical shocks. Repeated droughts, floods, and desertification mark the ecological fragility of the country. This in turn has a significant negative impact on livelihoods as the economy is strongly reliant on climate sensitive sectors such as agriculture. The population is predominantly rural, and 80 percent live in extreme poverty. Access to markets is limited. The weakness of insurance and other risk mitigation mechanisms impede the country’s development. Persisting regional volatility and security problems reinforce the persisting fragility. WFP continues to record the continuous arrival of refugees from Mali in all camps and hosting site, a situation likely to continue through the year. In light of this situation, the government has put resilience building and social protection at the core of its development agenda. Despite advancements, including meeting the Millennium Development Goal 1 target of reducing hunger within the country, food and nutrition insecurity remains one of the major development challenges. Approximately 1.5 million people are chronically food insecure. WFP supports the government in implementing a multi-sectoral, community-based approach to household and community resilience that aims to reduce the impact of seasonal shocks and prevent acute malnutrition and mortality. These activities include nutrition enhancement, school meals, and helping create local markets for smallholder farmers with produce to sell. In April 2016, WFP assisted 970,000 people in need of food assistance. Food for assets – WFP activities are implemented in the pre-and post-harvest period to assist rural communities in revitalizing infrastructure, improving agricultural production and diversifying rural incomes. These activities allowed WFP to bring food assistance to 241,353 people taking part in activities to recover more than 3,000 hectares of degraded land with the aim of using climate smart agricultural techniques to regenerate farmland and increase household revenues. Refugee humanitarian assistance – WFP is providing food assistance to 58,880 Malian refugees in camps Tabarebarey, Abala and Mangaize as well as hosting sites Intikane and Tazalit. WFP and partners also are continuing to respond to populations affected by insecurity in northern Nigeria in the Diffa region. Assistance was provided to over 130,000 refugees and displaced populations as well as host communities.